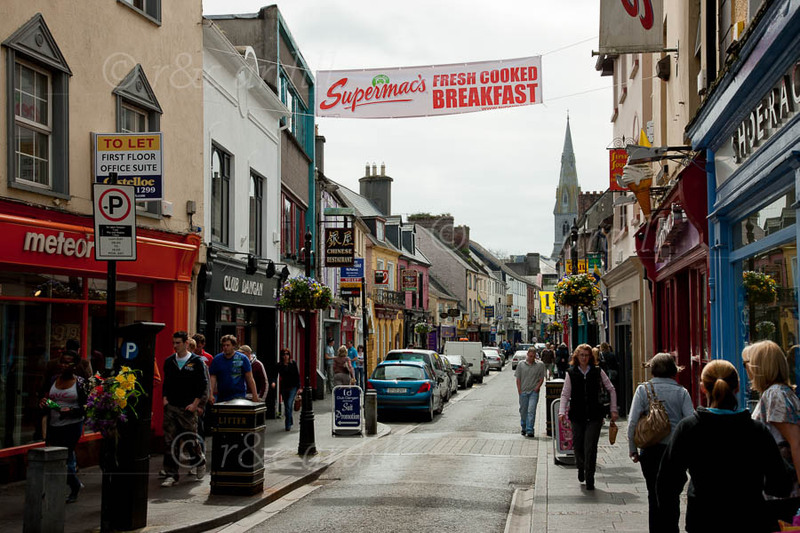 A view of O'Connell Street in Ennis, the main town in County Clare. This is an attractive, lively and busy town. It is a good base from which to explore the lakes and mountains of East Clare and the Burren and Atlantic coast to the north and west.